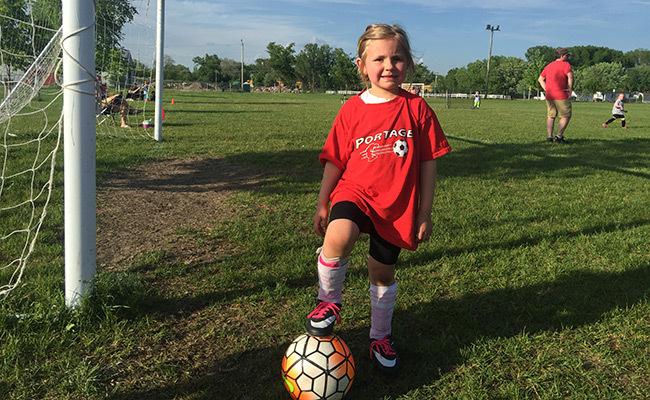 PYSA offers 2 programs: In-house U6-U8 and Recreational U10-U14 Soccer based on the child’s birth year. Use this chart to determine your child’s age grouping. Age groupings stay the same for a soccer year (fall of one year through spring of the next–like a school year). Recreational: U10-U14: Both coed and girls teams. Games are scheduled and managed by Madison Area Youth Soccer Association (maysa.org). There are typically 8 games, 4-home and 4-away. Teams usually practice 2 to 3 times per week, as determined by the coaches and play games on weekends.